Set Includes 2 Spatula Spoon, 1 Turner Spatula Spoon, 1 Round Cooking Spoon. 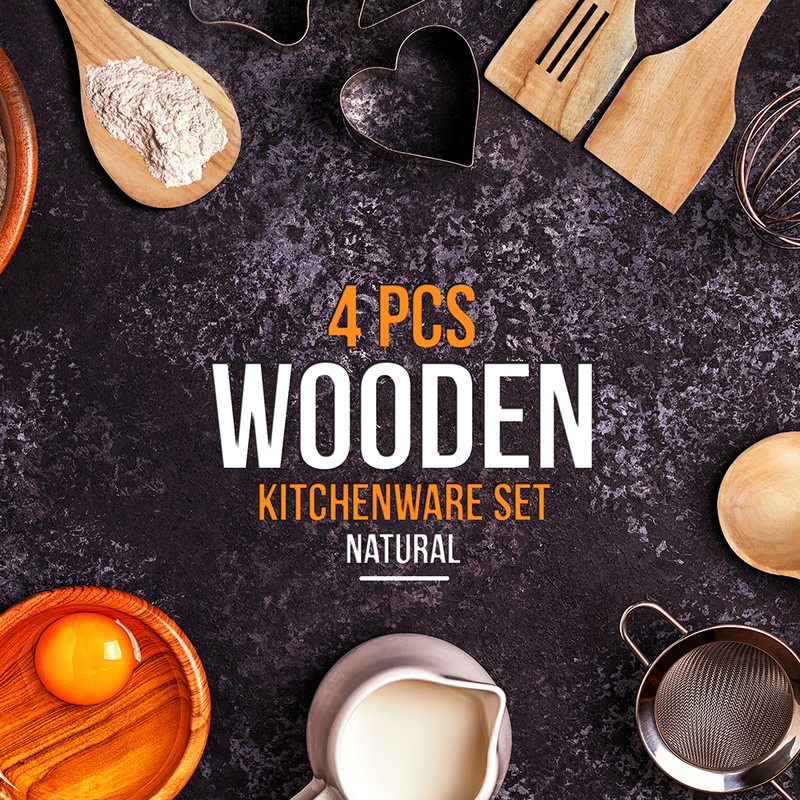 4 piece utensil set satisfied all your needs for your cooking and baking,durable and lovely bamboo kitchen tools. Wash with warm water and mild detergent,dry thoroughly. Cooking Spoons Set in Natural Style - Bamboo utensils are safe to use on heating cookware and will not scratch non-stick surfaces. Each spoon and spatula is suitable with all kinds of cookware. Easy to storage - 4 piece set includes spatula spoons, turner spatula spoon, round cooking spoon in perfect size. A good gift option as the set is nicely packaged. oles for wall storage. A good gift option as the set is nicely packaged. 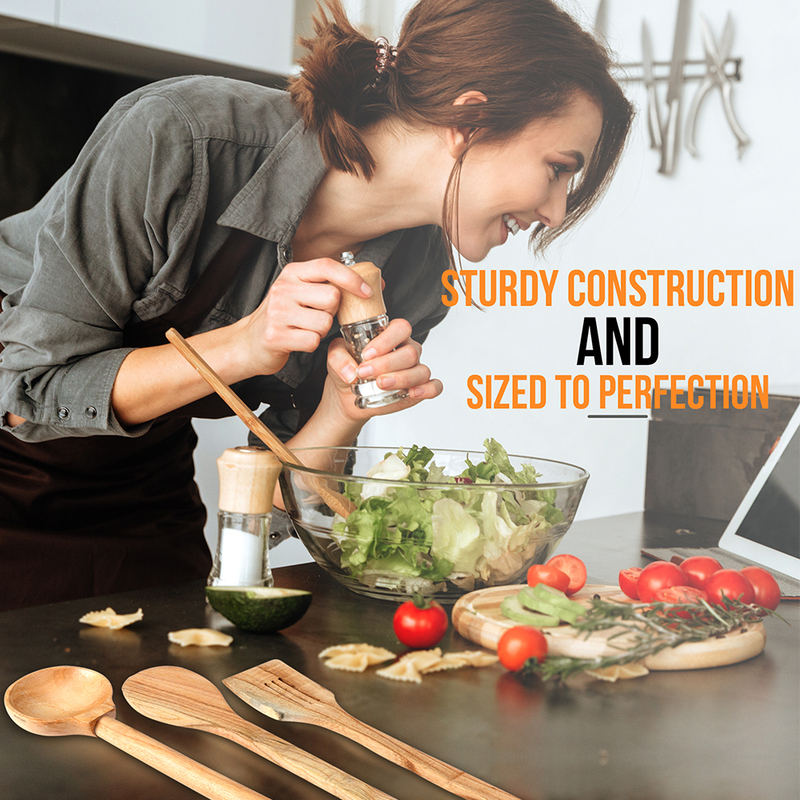 The best material for cooking utensils, will not scratch or damage expensive cookers.